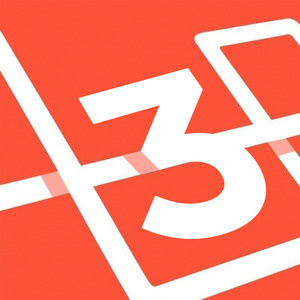 Matt Stauffer: Welcome back to The Laravel Podcast, season three. Today I'm talking to Lalit Vijay, the original founder of Laravel Live India, the co-creator of some great meet-ups there, and much more, stay tuned. 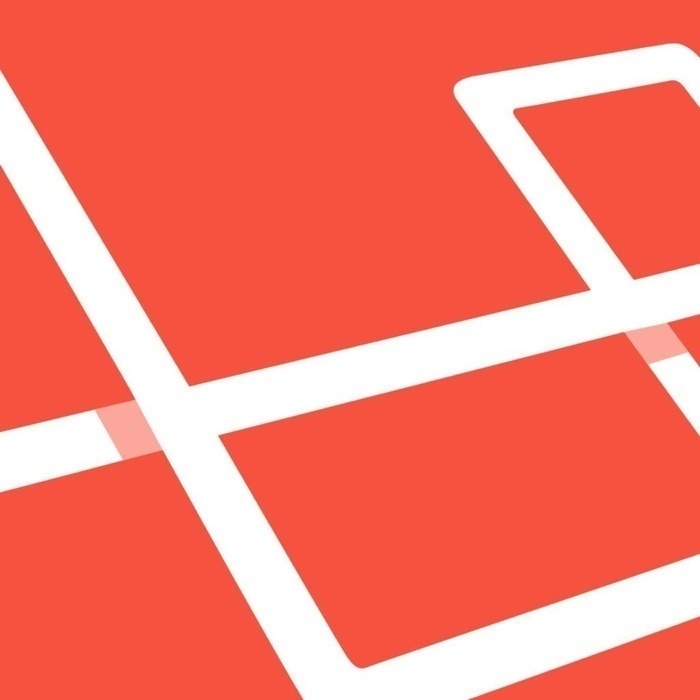 Matt Stauffer: Alright, welcome back to The Laravel Podcast, season three. Today I'm gonna be talking to Lalit Vijay, who is known in a lot of different ways. But interestingly, just like some of my favorite guests, a lot of you probably have never heard of him before, and a lot of you think he's the most amazing person on the planet and can't imagine why anybody wouldn't have heard of him. Matt Stauffer: And that's my favorite thing, where there's a community who knows him deeply and votes for him hundreds of times to come on the podcast. And then there's some of you who say, well who's that? So I'm excited for a new opportunity to share with you somebody who, who you didn't know about before, and afterwards, you're glad you had the chance. So first of all, introduce yourself. And when you meet somebody in the grocery store, what do you tell them that you do? Lalit Vijay: So, hi first to the whole audience of the Laravel Podcast. I have been following it, and it's a kinda great pleasure for me to be over here. Thank you Matt for that opportunity. And for me, I generally introduce myself as a backend lead and operation manager at StyleDotMe. And along with it, I curate meet-ups in India for the Laravel community because I want this thing to grow and reach to, across India in a really, really big way. Matt Stauffer: So if you meet somebody in the grocery store, and they say, what do you, and you say, oh I'm the backend lead of blah, blah, blah, StyleDotMe, do they say I don't know what that is, or because it's a product, do they more say well, I don't know what that is, but what's StyleDotMe? Are you usually able to kind of skip around the conversation of what you do by talking about what you're doing it for? Lalit Vijay: Fun fact, what happened in my day-to-day routine is since we are the founding members of our startups right, so we get really bogged up, and 80% of time may consumes with either my teammates or meeting new clients and handling the backend stuff at the company. All my grocery and all that stuff is actually delivered online so I just roll with it. Matt Stauffer: Okay, so do you go, I'm trying to think of a separate context. Do you go to the gym? Do you go to the coffee shop? Where do you actually randomly meet people who aren't in tech? Lalit Vijay: Okay so, at airports, whenever I'm traveling across India. Lalit Vijay: And at that point of time, I start mostly I talk around my product at StyleDotMe, what you do. And it's like we build augmented reality applications, SnapChat virtual lens or that's a business and application and then people start and then I show them the product and actually make them try it on themselves. So yeah, that's yeah. Matt Stauffer: Do they get a white labeled version of it? Matt Stauffer: So they're having their clients use StyleDotMe but then pick them in StyleDotMe or something. Matt Stauffer: Okay, got it, okay. So you said you're the backend lead. Matt Stauffer: So what I assume is that it's a primarily mobile app that's consuming probably something Laravel-ish. What does your tech stack look like in general? Lalit Vijay: So at Laravel, we use very different like multiple stack. It's not just Laravel over there. So at StyleDotMe, the primary application runs on IRIS. And where the real, our Machine Learning model runs, and so it detects a face, it figure outs your exact ear points, your neck points and overlay the items on that. Now to make it happen, what we use is a, we use a file base for real time data communication across all the devices. What we use Laravel for is like primarily backend tasks for uploading all the inventory data, managing those inventory data and making sure that what should go live, what should not go live. So, whatever the things which our admin panel controls, this is basically in the Laravel. Apart from that, we do a lot of data processing, image processing and all that happens in Python. Lalit Vijay: Yeah, so it's like a bit of diverse. Laravel is one sort of part of it. Matt Stauffer: Okay, and obviously I want to ask more questions about that, but usually what I want to dig into is who you are as a person. But again, like I said, since some people don't know who you are as a well-known person, I at least want to lay the groundwork a little bit. So, that's your day to day work. And you said you're a founding member of the startup, so, how much of your work is coding and how much of your work is organizational and people-related? Lalit Vijay: Okay, so that's interesting. Initially, it was a lot of coding. Lalit Vijay: Initial two years was a lot of coding time. But now, I think 80% coding and 20% operations and managing people. Matt Stauffer: Yep, yeah, totally. Okay, and then other thing that you're actually probably more known for at least in Laravel world is that you're the organizer. Are you the organizer or co-organizer? Are you the primary person? Of Laravel Live India. Lalit Vijay: So I started it, but now what I always wanted from the community is that everybody's part of it. And whoever each volunteer, each participant is actually organizer for me. So, whether it is Fahad this year, Rishalla is putting a lot of effort. So, all these people are the building blocks of the community. It's not something which I say that okay, this is what I'm doing. This is my community's doing, and they're helping me out. Matt Stauffer: I love it, that's a good attitude, man. So, you are the original founder and now one of many organizers of Laravel Live India, which is a very large, and it's in its third year now, right? Matt Stauffer: The Laravel conference. Matt Stauffer: So tell us a little bit about, to somebody who's never heard of it before, tell us a little bit about the conference. Lalit Vijay: Alright, so for Laravel Live, it started because it was just one reason that I didn't have enough time to visit Laravel EU or US, and I wanted those awesome speakers over here so that more Indian people can interact with them. And conferences not only just give you space for knowledge setting but also meeting new people, which helps you expand your view of the community and help you grow in very different ways. So that was the key thing, the motivation and one day I decided that someone has to do it so, why not me? So, let's do it. And then we did the first version of it, and the response was pretty good. And a few people got job via that conference. And once I heard that that helped me feel motivated further, for it that yeah someone is getting benefited out of it. That's awesome, let's do it again. And now, after two years, this year it's pretty nice now. We selected venue based on community vote. Our people selected for Mumbai for this year. And we are doing this on third of March, 2019. Matt Stauffer: Oh, that's coming soon man. Lalit Vijay: Yeah, yeah, so, we have announced our speakers. We are preparing for it, and hopefully we'll see a lot of people especially people, Freep is there. Then Nuno is there, then Rumpel is there. So, these are a few people from the community which a lot of people know. And then there are a lot of developers within India who are actively working out and, it's pretty fun to see and be part of this whole community. Matt Stauffer: Very cool. So, one of the things that I think blew a lot of folks' minds was hearing about Laravel Nigeria being as many people as it was. Do you have an estimated count of what the attendance for Laravel Live India's gonna look like this year? Matt Stauffer: And then you also are connected to, and I don't know exactly what the story is, but a series of meet-ups as well. Could you tell us a little bit about those? Lalit Vijay: Yeah so with this, before this conference, I started it as a meet-up. And the first meet-up was Laravel Live Delhi. And that was, actually the first meet-up got only five people. Oh yeah, five people. So we started that small, and over the period of time, we have grown very much. And recently we did a meet-up in Ahmedabad. Now the first meet-up in there was an attendance of 70 people. Matt Stauffer: Wow, that's awesome. Lalit Vijay: Right, so it's the meet-up which started with five people has grown to a 70 people meet-up. And in terms of conference, we on the first year we had 60 people turn out, second year it was 110, and we are doing 150 this year. So yeah, it's going pretty good. Matt Stauffer: Now is there, in any of the areas that you're doing this, do you have a big PHP community as well that's much larger, or is Laravel kind of really the main space where any of this work is happening in terms of community organization? Lalit Vijay: So I think with Laravel Live, now the Laravel community is growing. And how I see is that it's not just Laravel community which is growing, it's actually the whole coding community growing, right. People, we need to learn new things and the whole PHP space is growing overall. The biggest event I have seen in India with PHP domain is WordCamp for the WordPress. Matt Stauffer: Yeah, that seems to be the case in most places. Lalit Vijay: Yeah, so recently it happened in Ahmedabad with over 1,000 people of audience. Matt Stauffer: Wow. So what is the biggest tech stack around you? Is it Laravel if people are doing the type of work you're doing or there are other tech stacks that more folks are focusing on? Lalit Vijay: I think I see a lot of people around me working around Python. So, Python is kind of the, and that one kind of biased with me is I work well with a lot of people who are into image processing, Machine Learning and all that stuff. So, I find people who are mostly working in that domain. And website development kind of people are like not my core sort of thing when we look at the main R&D at StyleDotMe happens on Machine Learning and image processing, which is basically either CC++ and Python. Matt Stauffer: I've got lots more questions about that, but we've got to pause because at this point in the podcast, I've got to learn about you. So, tell me a little bit about you. When was it that you first used a computer, and when did you first start realizing you were into coding? Lalit Vijay: So, in fact the first time I got an opportunity to use my computer was in my school. I think I was in grade second or yeah, I was in grade second. Lalit Vijay: At that time, we went to school, our teacher asked us to, this is computer? And at that time, we used to have that bulky computer system with bulky monitors and all that stuff. And, so from class two to class sixth, it was just a object of fascination where whenever you go there, you love it. Lalit Vijay: Alright, it's something cool and what I used to do at that time is only play one game called Dave, which I remember right now. So after that, my real interest started into the computers was after class seventh. Lalit Vijay: I started learning things, I made friends of my school teachers and then I started skipping my lunch breaks and gained experience into the computer classes. Lalit Vijay: So, I used to sneak into, but there was just one challenge. 'Til that point time, I didn't have access to internet. It was computer without an internet. So the place where I live is one of the like remotest place in India. Lalit Vijay: Yeah, so my hometown is a place called Kordoma in Chakan. And it's like surrounded by 30 kilometer of forest all around the middle of the place. Lalit Vijay: So, finding internet connection was a big challenge. But then I actually got in touch with one person who used to tution me, and tutor for my subjects. And he got in a job at the district center of the place and they had the internet connection there. The government there had this connection. And then I kind of ask him that can I spend an hour or something on that? That gave me access to good internet connection. But after his transfer from that place, I came back to the same point, no internet access. Lalit Vijay: And during 2008 and 2009 and thereabout really I grew kind of big, I got personally an internet connection where I was getting a 2KBPS, 3KBPS kind of speed. Lalit Vijay: Yeah, and I started learning from that. Matt Stauffer: That's enough for like Telnet, and that's about it. What are you gonna do with that? Lalit Vijay: Yes, so at that point, I was like super happy that I have my own internet connection having 3 Kbps of internet. In fact, I remember one incident where I used it. I had taken screenshots of when this net speed was like 6 Kbps, like yay, I got 6 Kbps of internet speed. Matt Stauffer: Did you say 2008 or 2009 was when that was happening? Matt Stauffer: That's very recent for you to have almost no functional internet. Lalit Vijay: Right because that's a really remote place in India. Lalit Vijay: That point I then again try to make more friends with the government people. Lalit Vijay: Got a high speed internet connection again, spent a lot of time on YouTube, and then I started building website for freelancing. And that was for me, grade, I was in high school at that time. Matt Stauffer: Okay, how'd you learn? Matt Stauffer: Really? Like you'd just search on YouTube for how do I make a website and people add tutorials there? Lalit Vijay: Yes, yes, and so I'm self-learner. So from my education background I'm electronics and communication engineer. Right, but coding has always been kind of fascinating. It has always been actually easy, alright. So, that was easy to us to do, so we did this. And after high school, I moved to Delhi for my engineering. Matt Stauffer: So what year was this then? Matt Stauffer: Okay, I'm sorry, I was saying what year is it, but go ahead though, what do you have at home? Lalit Vijay: Okay so currently I have a 10Mbps connection at my home so that works fine enough to me. I moved to Delhi in year 2012. Matt Stauffer: 2012, okay go it. Lalit Vijay: Yes, so four year of slow internet connection, but after 2012 I did my engineering and during my final year, I started my first startup. We ran it for two years, then moved out of that startup. Now, after that I am working on StyleDotMe from 2016. Matt Stauffer: Okay, so what was the group of people who originally started StyleDotMe? How many of you and was there any funding, or was there just a couple friends started this? What'd that story look like? Matt Stauffer: Wait, your current CTO or your original? Matt Stauffer: He's still a student? Matt Stauffer: Okay. Just had to make sure I heard that correctly. Lalit Vijay: Yeah so, he's the founding team member also and he's current CTO, and he started as basically as we all started, then we started giving tags to each other and he's now CTO and I'm handling the operations. So, that guy is like, was a very bright guy. Meghna was super passionate about the product and she lead the kind of vision to the company. Akil is like really the Android developer, and he sold his first company for $100K in 2016 when he was in high school. Lalit Vijay: And then he started to build multiple applications, around 20, 30 applications and being featured in all the good magazines, and he's doing pretty good right now with us. And he's the kinda key person in building this augmented reality application on the IRIS. Matt Stauffer: Okay so, of your team, what's the breakdown of web application developers versus machine learning type folks versus whatever else? Lalit Vijay: Alright so, at web application we have just an admin panel and I handle that. Now we have added one more developer for that and the rest, Ahkil, Dhruv, and me and Avinash co-develop for the machine learning and the Python part, and Ahkil primarily take care of iOS. Matt Stauffer: Okay cool. So one of the things that I always do when I'm gonna be interviewing somebody is I ask everybody at Tighten, do you have any questions that you have for this person? And sometimes they say oh, I've always wanted to ask them this, and sometimes it's a little bit more, you know, oh I'm just curious about this in general. So, one of the questions that someone asked was: of the folks you know in India, especially in the area around you, who do Laravel, and obviously that's not a lot of your team, but to the folks from different conferences, is it more common for people to be employed full time, or is it more common for there to be freelancers? Is there a big freelance, 'cause we're noticing that that's something that we notice to be different depending on the country. So for example, in the U.S. there's very, very few Laravel freelancers, but we've found a lot in quite a few European countries. So what's like it like in India? And obviously it's gonna be different based on the city. Lalit Vijay: Yeah I think India is a very vast country, right? Lalit Vijay: So it's pretty different in different places. If you talk about Zanzibar and all the tier two cities, you'll find only the kind of people who are employed working on that. If you find in Dehli or Bangalore, you will find some good amount of freelancers too. Lalit Vijay: Yeah definitely, it's a challenge, it's a challenge to find good freelancers. Matt Stauffer: And one of the reasons they were asking that is what does it look like when your startup needs to grow, and you can't find enough folks to work? Are you doing training for people? What's that like for you? Lalit Vijay: So currently what we do is we hire people who have at least a year or two year of experience, and then train them based on that basis. Matt Stauffer: Yep, on the job, yep. And the benefit is they get the training, and you get someone who knows the things you want them to know, and yeah, totally understand that. Alright, so one of the things we were curious about knowing was we talked a little bit about how you got into programming, but what was it that first got you into Laravel? Lalit Vijay: So I was doing a lot of freelancing work between my high school to third year of college. So from 2010 onwards to 2013. And during that time I was working with multiple people. And it was mostly working in PHP Code and CodeIgniter. And during that time I was just searching around, saw what's coming up and one day stumbled upon this Laravel. And I just checked it out, how is it. And the first class actually didn't took off, and when I came back, I think it was version 3.8 or nine I guess that I first just liked, And I tried my hand and I felt okay, CodeIgniter is fine enough, it works good for me now. And when I got my hand again on 4.2 it was like completely changed, and it was wow, wow. This is pretty nice. And then I started moving my projects on Laravel, and I build up multiple application for a few five star hotels, for at that time I was working with, it was Ramada and Radisson, yeah, so for them I was working. So I built a few application for their internal kitchen order management system, and that's how my initial Laravel experience, in terms of real development came across. And then with every new version started loving more, because every six month you had something interesting, something nice, and the whole community started. So with CodeIgniter and the code base what I was filling from, 2011 to '14, I feel like the community was going downhill. Every year it was slowing down, slowing down, and there's nothing new coming up in the whole PHP ecosystem. And with this growing Laravel community you felt that yep, again we are getting somewhere. And actually people are talking about things, they are selling stuff and they're building. They are not stuck with one version with the same base of code, and you don't know what next going to come, right? So that excitement took me over, and I completely ditched CodeIgniter, and then I used Laravel for my first startup from scratch. That was 2014, '15, and we built the complete front end and back end on Laravel. That worked out very well for us. And I think after 4.2 they were looking back in terms of it was getting better with everything. Whenever I miss something, mostly like it was going to come in next version. Matt Stauffer: That's cool. So one of the other questions I got that I thought was really interesting was, could you think of any ways that developing Laravel applications in India, specifically with Indian audiences, is different than it might be somewhere else? Is there anything you think that folks outside of India might not know about the context or the audiences? One of the things that someone specifically mentioned, I actually talked to Marcel Plizio, and he mentioned the fact that you had said that you have to think about scale a little bit earlier sometimes, because there's so many people. So that, and anything else, are there any other aspects of developing in India that you think that other folks might not be aware of? Lalit Vijay: So the one thing which people think is, since India is a really diverse place, and there is a lot of dialects, but still the major verbal development happens in English only, and you don't really need localization. I think in going few down years from here now we will be seeing a lot of localization within the Indian community. Because a lot of new people coming on the internet, and the rate of acceleration of growth of newcomers coming on for online consumptions is really, really getting big, it's booming. And with that I think more localization will come into the play. For right now mostly it's the English, and the scale is the one reason, because you hit 10,000 users in very soon. And then. If you have 10,000 users you really don't feel like you've got anything until it's like 100,000, right? So yeah, so I think the first time I felt that was we were doing a really small activity, and I wasn't expecting that how much traffic I will get. And my systems are down, that was completely on Laravel. And the moment I saw what was the reason is my data was site down because number of requests per seconds I was handling was too high. It was like 300 requests per second. And for the activity with one influence, having I think 50,000 followers or something, make everybody bogged up on at the same time, I wasn't expecting that kind of response. So yeah, in India that happens, that you can really hit the numbers really fast. Matt Stauffer: Interesting, yeah. So are there any things that you just think of on every new project that, you know, of the folks without that context, 10,000 sign ups might be a six month goal, or a year goal for some folks, and for you you say well, I might hit that super early. Do you say oh, well here's one thing I do on every project that other folks might not have to think about, or something like that? Lalit Vijay: So with us, we always set up the system with load balancer and all the basic coordinates installation pre-loaded. And with us it has always been the case where we do, and then we start doing some out-of-the-box marketing activity. And for that specific duration, our users sort of grow 10 times, 15 times from the normal use cases, right? And that those cases you really need to be aware. But in 80% of the cases the growth is linear on developments you're not doing. With us, what happened currently is we dealing with a lot of enterprises consumers, right? And so we are currently dealing with, out of top 10 brands we are working with top five. So the moment they start, they start very small, like on few retail stores, and when they grow, your growth is going to be get like 10X once the pilot is done. So you just need to make sure that after a month, or two month you are not going to get stuck because the expansion or number of applications are running simultaneously has grown 10X. Matt Stauffer: So what kinda tools do you use to be aware of when you need to scale? What are you using for monitoring? Lalit Vijay: Okay, so currently I use AWS CloudWatch a lot to drag down all that stuff. And over here, since we had everything is enterprise consumers, we do have really on understanding, right? Because with enterprises you need to do a lot of integration and all that stuff before going live, even after the pilots. So we do know kind of base growth now we are going to have, and that's the kind of benefit of being a SAS company with B2B clients. So you have more predictability in terms of what kind of users you're going to see. Matt Stauffer: Is CloudWatch enough to give you everything that you need? Like let's say you know it's gonna happen, but you don't know, well, X number of users, what kinda resources they need. Can you get all that at CloudWatch, are you using a Blackfire, a New Relic, or an Eyewitness or something like that? Lalit Vijay: So the fun fact about us is that for us, the end people who are going to use Laravel back end is very, very limited. Currently we are just with 50 enterprises consumers, right? But they control almost 30% of the whole market's pie, right? So you exactly know the number of consumers, and they are going to sign up. So on the back end part, where the main Laravel meat is working, is really not all that traffic insane. The part where we have unpredictable kind of users is the end-consumer application which is installed in the retail stores. That is completely not on Laravel at all, that's on Firebase. And the machine learning model is within the application only, right, which we train on separate with the application. Matt Stauffer: Oh okay, so is Firebase taking the majority of that? So well the machine learning, is that running on your own servers, or is that in something like Lambda? Lalit Vijay: No, so we train our model on our own systems, and once the model is generated we separate along with the application. Matt Stauffer: Oh, okay, that makes more. Oh, so when you say the application, you mean the actual iOS application has all that embedded. Lalit Vijay: Yes, yes, yes. Matt Stauffer: Okay, so the actual calls from the front end user-facing application to the back end primarily hit Firebase? Lalit Vijay: Yes. With the Firebase even, so since we are working with retailers with a lot of different places where internet reliability is not constant, right? So we work in a way where you have offline storage of everything. So from the last point of internet connectivity you have everything there, and the application will run perfectly fine for you. The moment we got connected with a proper internet connection, we just sync the latest data for them. So number of request we've finally made to our servers is very, very, we try to limit them, because we need to make sure that it runs offline perfectly. Matt Stauffer: What is the tech stack that you're using to generate your iOS, are you using Swift, or? Lalit Vijay: No, it's a Native-C, Objective-C.
Matt Stauffer: Okay, got it, I guess that makes sense since you were talking about using C and C++ for your machine learning, okay. Off the top of your head, is there one piece of technology that you predict is just gonna get huge that you're really excited about? Matt Stauffer: Okay, tell me more, I mean as your average developer thinks about that, what should they be prepared to be learning and thinkin' about? Lalit Vijay: So in front-end development, I think AR will change the way currently people are solving, right? And if you see all the big players across the globe are playing and trying things to do in the right way, right? And in India what we see is all these retailers, the reason even after being a very small company in number of head counts we call, and the kind of startup we are, the kind of companies we are working with is like the biggest brand of the country, right? And the reason of that is the kind of innovation we are bringing on the table. So currently the product we have is the only product in this world which can do real-time augmented reality for the jewelers, with such high precision. So a lot of time we find that our model works better than what currently SnapChat has. And we have filed patents for that now. Matt Stauffer: That's very cool. Lalit Vijay: Yeah, so the kind of effort we are putting in in terms of building the fine product for the end consumers, and the kind of response we are getting from the end consumer is really fabulous, right? So just now imagine, today you are sitting there and you have to buy something for you wife, right? And let's say you're giving a surprise to her. What you will do? You will go to a store and you will try to see, this might look good, right? But how are you going to try on her? What we do there is you just take her picture, and put item on her. Matt Stauffer: I was just gonna ask, can I just hold a picture up in front of the camera? Lalit Vijay: Yes, yes, yes, so you just hold up a picture of her and see her wearing the jewelry which you wanted to buy for her. And then you can decide it much better. And this stuff is gradually, I see in a big way, everybody's asking us please give us the web version, but we are not doing it because the kind of quality which we are getting on the web version is not up to the mark, the kind of quality we are developing on the iOS native application, right? So I see a lot of demand in terms of AR, and every sort of company, from Amazon, to this Tiffany, to this L'Oreal Paris, all kind of beauty, jewelry, all domains are using crazily. Matt Stauffer: That's really cool. Matt Stauffer: Did all the work that Apple did recently to improve AR in the most recent versions, did that really make a big difference in the possibility for it to be big in the future? Lalit Vijay: We were very excited about ARKit, that that might help us a lot by reducing our work. But it didn't help it that much. It still requires a lot of work right now. The kind of output is not for the enterprises grade right now. Matt Stauffer: Got it, so you think in a couple years it might be different, but right now, for someone to do something at your level, you still have to be doing most of the work on your own. Matt Stauffer: Okay, yeah. Yeah, I've definitely had that same perception. Alright, let me look at a couple of these other questions, 'cause we're runnin' short on time and I wanna make sure I get everything. If you get a day free, and all the sudden there's no work, and for some reason you can't work, the internet's down at work, whatever, what are you gonna go do with your time? Your favorite thing to do. Lalit Vijay: Okay, so I spend a lot of time while traveling or anything is listening podcast, and reading books. And if not that, then most likely I do not get enough time to spend with my girlfriend, so I do that, yeah. Matt Stauffer: If you don't mind me asking, what would your favorite thing to do with her? If time and money were no constraint, what would you wanna do? Lalit Vijay: Just sitting in a silent place with a mountain with a nice view. Matt Stauffer: Okay, I like that, cool. What are your top five podcasts? Lalit Vijay: Currently, the one which I really love is one, since I'm kind of startup guy, I spend a lot of time on Master of Scales. The other one is Laravel Podcast. So Master of Scale is from Reid Hoffman. Matt Stauffer: Okay, I didn't know he had a podcast. Lalit Vijay: Yeah, yeah, and that's a really nice podcast, especially for the startups. The kind of insights we get is really nice. And now let me just stop into my podcast. Okay, and then this is really nice. You might have heard this, Reply All. Matt Stauffer: Oh yeah, yeah, yeah. Lalit Vijay: Yeah, yeah, I love that, then there is a podcast by a company called Intercom, they have a nice podcast. Lalit Vijay: And then there is called The Knowledge Project, yeah. Matt Stauffer: Okay, I don't know The Knowledge Project, I'll make sure these are all linked in the show notes to everybody. But I can't believe that I didn't know that Masters of Scale existed, I'm just reading through the site and it looks really fascinating. Lalit Vijay: Yeah, it's a really nice podcast. Matt Stauffer: Okay, I think I'm gonna ask you one last question before we're done for the day. And my last question is: is there any either entrepreneur or technological person, or any startup where you say that's who I wanna be like, those are the people I look up to. Whether it's a single human being who's an entrepreneur, or a single human being who's a technologist, or we're at this startup and you say they're doin' it right. I wanna look to them for how to learn how to do it right. Lalit Vijay: I think for me, the kind of two persons to me personally. I take half trait from one person, and half from another, and I really just get inspired by both of them. One is kind of Elon Musk in terms of kind of vision he sets for himself, and another one is Mark Zuckerberg. And for him, the reason for that person is kind of, he know how to be in the business. He know how to beat the competition state out of. You have seen SnapChat, right? Matt Stauffer: Yeah, yeah, no, I get that. Yeah, he definitely knows what he's doing. I've often said, people say well why are they spending that money that way? And I says well you know what, if you've got that much fake money, you know, that's just purely based on your valuation, go do things that are gonna turn into real money. And they made some good decisions there for sure. Okay, so if somebody is super interested in everything you told us about, obviously they're gonna go check out StyleDotMe.com. I'll link it in the show notes if anybody gets lost finding it like I did. But how can they follow you, how can they keep up with you, and is there anything else you wanna plug while we're on the podcast? Lalit Vijay: So for me, I personally love to be on Twitter only. I do not tweet much, but I mostly love seeing how competition do. And the reason I do not tweet much is I really spend really little time on social media, because currently we are in a kind of growth phase of the startup, and we are very, very focused on that, and that's currently like life to us. So a lot of time goes over there. Lalit Vijay: The next thing, people can follow me LalitVijay on Twitter handle, it's simple, it's LalitVijay. And what I wanted to know is yeah, people do check out Laravel Live India. It's really nice growing community. And if possible, just visit it and give it a try. You will love it, and I'm sure for that. Matt Stauffer: Well that's awesome. Well Lalit, thank you so much for your time, it was a total pleasure gettin' to know you a little bit, and I really do hope that I'm gonna be able to come see you guys there one day. I hear such amazing things about it that I'm lookin' forward to being able to do it one day. And thank you so much for your time today. Lalit Vijay: Sure, thank you so, and I think I will try to get you next year on Laravel Live. Matt Stauffer: Alright, fingers crossed.